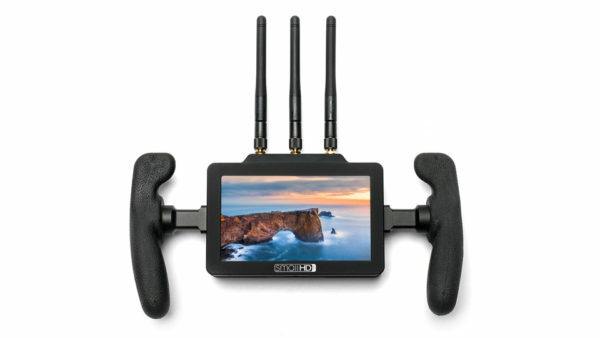 A lightweight, 5 inch HD monitor with built-in wireless receiver and convenient side handles. Portable, battery-powered, and with an 800 nit brightness screen, this monitor is quick and mobile and works well both inside the studio or on location. The built-in receiver is compatible with Teradek Bolt 500, 1000 and 3000 series transmitters. • A wide array of exposure and monitoring tools including: Peaking, False Color, Vectorscope, Waveform, RGB Parade, Zebra, Anamorphic De-Squeeze, Image Overlay and Custom LUT Support.